Use these fun bug BINGO cards in your classroom. Use the valentine bingo game to teach number recognition or strengthen math facts! Kids in kindergarten through fifth grade will have fun using these bug bingo cards at school. With 30 different cards, there are enough cards for the whole class to use! Use the bingo cards to teach counting, or make the game even harder by making the kids solve math problems to fill in their cards. There are so many ways to use these cards! Includes everything you need to have a fun bug-themed bingo game. You will be directed to the download page. 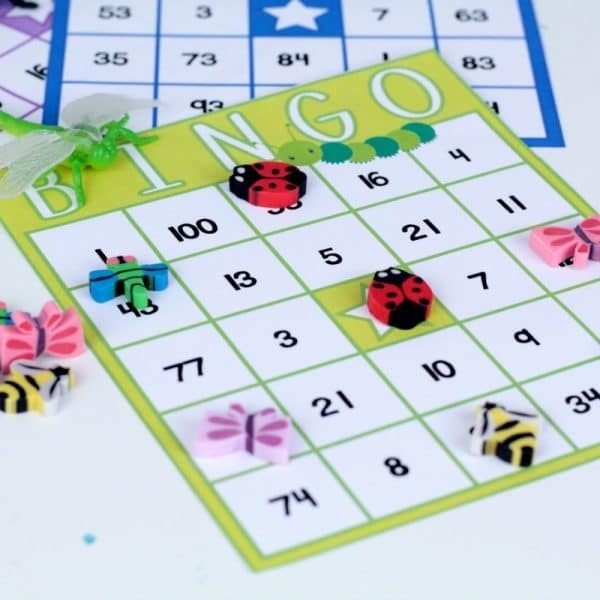 Click “Download: Bug Bingo Game” to save your printable. You will also be sent an e-mail link to download your printable. Print the worksheets, cut out the letters, laminate them if you like, and give them to the kids to use!